Our Premium VPN service offers unlimited amount of transfer and encrypted VPN technology using OpenVPN, PPTP and L2TP/IPSec. No records are kept of where you go! 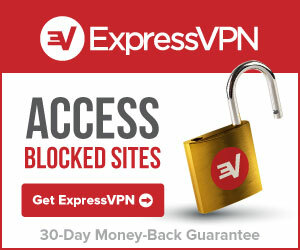 HideIPVPN provides unlimited speed without usage or download caps. Switch freely between VPN servers at no additional cost. With HideIPVPN you can connect using different technologies: OpenVPN, PPTP and L2TP/IPSec. What to choose depends on your needs. We support Windows, Mac OS, Linux as well as iPhone, iPad and Android platforms. Since May 2013, HideIPVPN is also offering new, SmartDNS service. Unlike VPN Smart DNS is not creating any delays in connection as only some parts of the traffic are routed via SmartDNS servers. Users have to remember that although SmartDNS service is perfect for media streaming (you can check what sites are currently unlocked at provides site “Premium SmartDNS”) they will not hide users IP or allow for anonymous internet browsing. HideIPVPN offers Premium SmartDNS as a separate package or as inclusive part of some of their VPN packages. Good news that users are allowed to test this service for free for 7 days without further commitment. The service to be extremely easy to setup (unlike VPN it works on almost any device) and very comfortable to use. After one time setup (we recommend to setup your home router – simply follow instruction provided) you may simply surf freely between sites. Every time you visit DNS unlocked site (like Netflix, Hulu, BBC, etc.) HideIPVPN’s SmartDNS service will do all its magic in order to unblock required content. SmartDNS feature is included in most of their packages. For very reasonable price, that has not changed, you can now get best of both VPN and DNS worlds. HideIPVPN average rating: 4.0 /5 based on 8 reviews. Fraudulently billed my PayPal Account. Russian Company hiding behind UK IP address. Speed unusable most of the time. Do me a favor, go with someone else higher on this review list. The biggest problem with hideipvpn is that it is more expensive than Netflix itself! That also seems to be the only problem as it simply works. Obviously I rather pay a bit more to have no connection trouble, because when you need it, it’s gotta work. Great connection options, works on any platform, reliable, works perfectly for all countries I’ve tried (I’ve a UK/US/NL). So completely satisfied customer who doesn’t see the need to try something else anymore. I use their service mainly for hulu and netfelix. After 2 years with hideipvpn team i can honestly say that this service is truly awesome. Thier support wotks great, contact via facebook is superb and general feeling you have from articles in their blog is that they work for you and with you. Can recommend without a blink of an eye. I was fortunate to get a free account last Christmas and I have nothing but praise for the service. Speed and reliability are always excellent and, of course, the price for me is unbeatable. I have recommended HideIPVPN to several of my friends, who are also completely satisfied. Although I have not needed to use any support services (it is so easy to set up), a couple of friends report first class experience there, too. From my experience, there are easy-to-follow instructions for Windows and Linux, as well as a complete guide for setting up DD-WRT on a router. 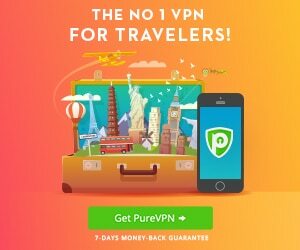 I’ve been using HideIpVPN for 6 months now and have found its reliability and speed to be excellent. I’ve needed no help from support, so I can’t rate that. The price is fair for the service; not cheap, but fair particularly due to its reliability. I saw a review from “Will” in Aug 2012 where he through that his HideIpVPN account was snooped upon by an outside party. While I can’t rule out he is correct, I seriously doubt that is the case. Chances are something else (e.g. logging into the account where he was writing a critical e-mail while having cookies enabled or giving false data in creating a mail account) is a more likely explanation for his account becoming disabled. Anyway, HideIpVPN, I give you two thumbs up! I used the service to write a comment which critical of my (Western) government’s position on Syria due to the involvment of al Qaeda, suicide bombers, IEDs, and general terrorism against the state institutions. I also used the service at the same time to open another email on yahoo. I did not use the email. Next thing I see, when I come back to login to the new email, it has been disabled by security. I had only used HideIPVPN for these two actions which therefore links the two incidents. The disabling of the new unused email for security was linked to the nature of the comment using the other account on a website. I used two different servers for the two actions. For the two actions to be linked like this, it can only indicate monitoring, and I think HideIPVPN is not safe by this experience.